Pachakuti refers to the time of great transformation that we are currently living in. In Quechua, a language of South America, the word “pacha” , translates to world, earth, space, realm…it may even mean soil; and “kuti” means turning, churn, movement. When joined together these words may be interpreted as “world reversal or churning.” Mesa, in Spanish, means table. For many people, a mesa is also a shamanically empowered altar, used for self-exploration, transformation and personal growth. By interfacing with a Pachakuti Mesa one may create a new paradigm of one’s relation to Self and the Universe. This tradition is an evolving practice of inner and outer actions and rituals, which may restore balance and harmony, while deepening our relationship to the natural world, and to Spirit. Walk a path of ancestral wisdom in the modern world. Consisting of five weekend intensives, over the course of 15 months, this apprenticeship will lead you through a living lineage of Peruvian Shamanism. Part I is open to anyone wishing to deepen their connection to Spirit and animate universe and no prior experience is necessary. Parts II - V build upon the teachings and initiations received in the prior weekends, which are prerequisite. This program has been carefully crafted to offer people from all walks of life a heartfelt initiation into the healing power and earth honoring ceremonial artistry of Peruvian mesa lineages. By embarking upon this 15-month apprenticeship, you will engage in ancient teachings & transmissions not only from the PMT, but also from the natural world and from your own Pachakuti Mesa. Things may accelerate as you step into this powerful shamanic path because when a group of people join forces to create change – it can happen. 1) A residential retreat-style at the beautiful Spirit House Retreat Center located in West Marin (Woodacre, CA) . It provides a supportive and pristine container for this powerful growth work. And though you will feel a million miles from it all, Spirit House is only 25 minutes from San Rafael and 1.25 hours from San Francisco & 55 minutes from Berkeley. PLEASE NOTE - THERE IS ONE MORE SPACE AVAILABLE FOR THIS RETREAT. To Apply and for more info about the Spirit House Pachakuti Mesa Tradition Apprenticeship Series, click here! 2) A non-residential retreat February 15-17, 2019 in the Richmond Hills of the SF East Bay. To Apply and for more info about the Richmond Pachakuti Mesa Tradition Apprenticeship Series, click here! This apprenticeship workshop initiates participants into the Pachakuti Mesa, a powerful and sacred altar. Students will be initiated into the PMT by creating their own mesa and working with them for self-empowerment, transformation, and helping others. Through shamanic journey and visionary states of consciousness, participants will explore the three worlds of the Andean cosmovision and sacred reciprocity with All That Is. We will embark upon the path of inquiry regarding the core ingredients of ceremonial mastery, sacred sound, healing and curanderismo, and the inner world of the ukhupacha (also known/referred to as the lower world). During this workshop intensive, participants will apprentice in the center of the mesa, traditional Peruvian healing practices, and the kaypacha, the middle world, also known as our physical “consensus reality” world. Apprentices will explore the kaypacha’s elemental matrix and magico-spiritual power, and learn about the moon’s presence in the kaypacha/middle world- mapping the cosmos on Earth, and celestial death and rebirth. This workshop is an initiation into the paqokuna, the Andean Shaman/Priesthood mystical path, the lineage of the sacred mountains, and the five virtues of the mesa. Participants will also journey to and experience the hanaqpacha, the upper world beyond the physical. In addition to other powerful processes for weekend 3, this weekend apprentices will learn about the ritual acts of ayni, or sacred reciprocity. To deepen their connection with the unseen world we will create a despacho, or a gratitude bundle. For this weekend, the apprentice will, once more, experience the upper world and learn about its lightning bolt of mystical illumination and the flow of kamasqa, the power of Creation. Our time together will consist of working with the elements, the forces of the universe, and practice hands on healing and use sacred healing objects to assist with the transmissions. In sacred reciprocity participants will create despachos to honor Mother Earth, the sacred mountains, the elements, the unseen world, and prepare for a paqowachu, a sacred pilgrimage. This workshop deepens participants’ experience of soul and spirit through ritual process, including the spiritual creation, activation and care of an apacheta, a shamanically empowered stone cairn . Students will work with the power of creation in the kaypacha or middle world, dimensionality and time, as well as with the three suns, and the hampikamayoq process (ancient breathing techniques for physical, emotional, mental and spiritual well-being and transformation). Students will also be empowered by evoking both seen and unseen sources of cosmic awareness within their mesa, sacred objects and own being, and initiation into the lineage of this revered tradition. The final weekend together we share how we will offer this medicine to the world for healing. PARTICIPANTS ARE ASSIGNED A FOOD TO BRING FOR AN ORGANIZED POTLUCK—— IT IS SUPER DELICIOUS WITH ALL DIETARY NEEDS MET!! Receive profound wisdom teachings and powerful initiations into cross-cultural shamanism and the shamanic arts in our apprenticeship series with PMT Teachers sanctioned by don Oscar Miro-Quesada. 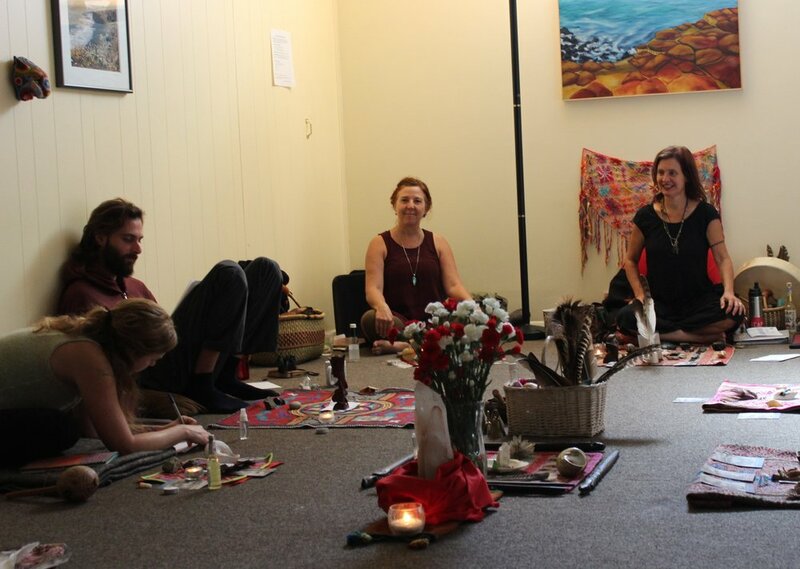 The Pachakuti Mesa Tradition: Cross-Cultural Shamanic Arts for Personal and Planetary Renewal is a five-part series of intensives that aligns the traditional teachings of Peru and the wisdom of its heritage with the needs of the present day. Providing a comprehensive foundation and profound initiation through ceremony and prayer into the living heart and soul of the Pachakuti Mesa Tradition, this will help participants cultivate a deeper relationship with nature and the unseen world, and receive multiple opportunities for self-exploration, empowerment and profound personal growth. This powerful series is open to all people who desire to be of service to themselves, their families, their community, and Mother Earth, whether they are long-time mesa carriers or new to this tradition through personal and communal ceremony. To Apply and for more info about this Pachakuti Mesa Tradition Apprenticeship Series, click here! Don Oscar Miro-Quesada Solevo (pictured with Jnana Gowan) is the originator of the Pachakuti Mesa Tradition of cross-cultural shamanism and the visionary founder of The Heart of the Healer organization (THOTH). Through his teachers, don Celso Rojas Palomino and don Benito Corihuamán Vargas, the ancient lineage of this shamanic tradition can be traced back to its origins over 5,000 years ago. He also founded The Apprenticeship Series for Pachakuti Mesa Tradition (PMT). Oscar Miro-Quesada is known world-wide as a Peruvian kamasqa curandero (rough translation – shaman), and also holds a position as a UN Observer to the Permanent Forum on Indigenous Issues, as well as an OAS Fellow in Ethnopsychology. Don Oscar’s first experience with Peruvian shamanism was under the famed huachumero don Celso Rojas Palomino from Salas. After don Celso transitioned to the Spirit World, don Oscar then started a four-year apprenticeship within the Andean Paqokuna tradition of shamanism with famed kuraq akulleq (high teacher) don Benito Corihuamán Vargas from the village of Wasao. 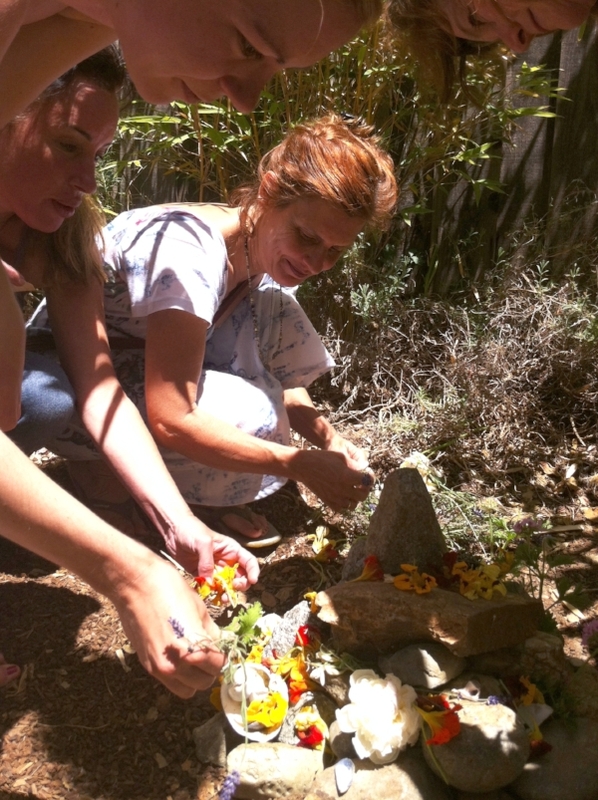 Photo below is from Spirit House Retreat Space in Woodacre, CA. It is a perfect example of the malki kuna the powerful tree spirits that assist us in our earth-walk.